Adalah and ACRI say Supreme Court ruling allows Israeli government to delegate land-use authorities to a body with racially discriminatory policies against Arab citizens. Court okays Israeli gov’t transfer of land-use authorities to World Zionist Organization`s Settlement Division, which advances interests of Jewish citizens only. The Israeli Supreme Court today rejected a petition filed by Adalah – The Legal Center for Arab Minority Rights in Israel and the Association for Civil Rights in Israel (ACRI), demanding the cancellation of an amendment to a law that allows the Israeli government to transfer part of its land-use authorities to a private body that acts exclusively to advance the interests of Israeli Jewish citizens. The amendment to the World Zionist Organization - Jewish Agency (Status) Law (originally approved by the Knesset in 1952), passed a Knesset vote on 24 December 2015. It grants the World Zionist Organization`s (WZO) Settlement Division authority over settlement, land acquisition, and the establishment and expansion of development projects. Photo on front page: The judges of Supreme Court of Israel with the Israeli prime minister and president. Source: Israel Ministry of Foreign Affairs. 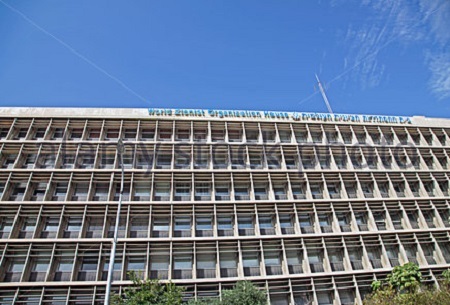 Photo on this page: World Zionist Organization Building, Tel Aviv. Source: Alamy.The Israeli Supreme Court today, 6 September 2017, rejected a petition filed by Adalah – The Legal Center for Arab Minority Rights in Israel and the Association for Civil Rights in Israel (ACRI) demanding the cancellation of an amendment to a law that allows the Israeli government to transfer part of its land-use authorities to a private body that acts exclusively to advance the interests of Israeli Jewish citizens.